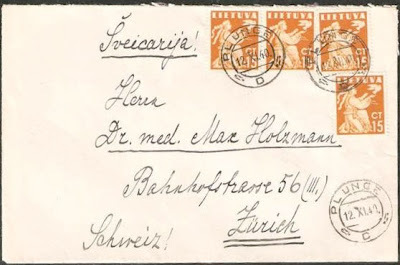 Lietuva (Litauen) 1940.XI.12 COVER with PLUNGE Pmark. Four 15 cent PEACE stamps affixed. 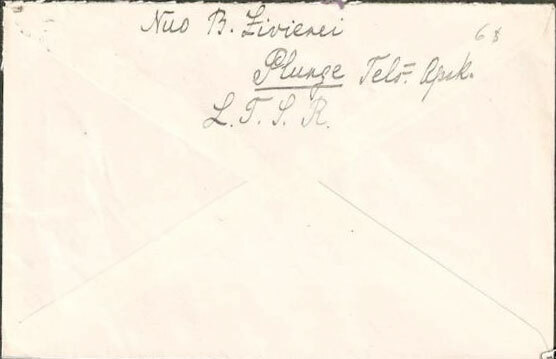 Sent to Switzerland, Zurich. Rare and interesting from that period. Lithuanian SSR.